This 3 bedroom, 3 bathroom town home stands out among the crowd, completely redone in 2010 with its own private pool. Faux Paint on all walls, new furniture package including 50 inch flat screen TV, new vertical blinds, new upgraded carpet. This townhome has a south facing pool. All bedrooms have there own bathroom and there is one bedroom and bathroom downstairs. Stainless Steel appliances. Everything in this unit is brand new in September 2008 the owners have redone this home to a very high quality and you will not need to change a thing. 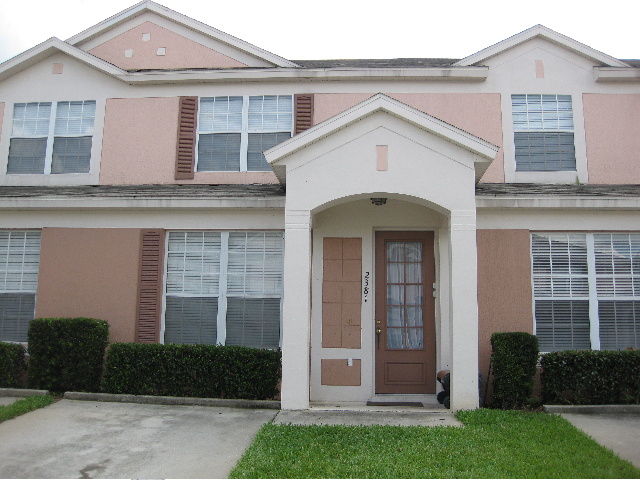 Windsor palms is a resort style community located 3 miles from Disney. This gated community has views of Animal Kingdom, a gym, movie theater, jogging trails, sundry shop, club house, on site HOA, pool, spa, tennis, volleyball, basketball and more.